MANILA- (2ND UPDATE) President Rodrigo Duterte's youngest son, Sebastian “Baste” Duterte, is running for vice mayor of Davao City. The younger Duterte on Wednesday filed his certificate of candidacy for vice mayor, marking his foray into politics. 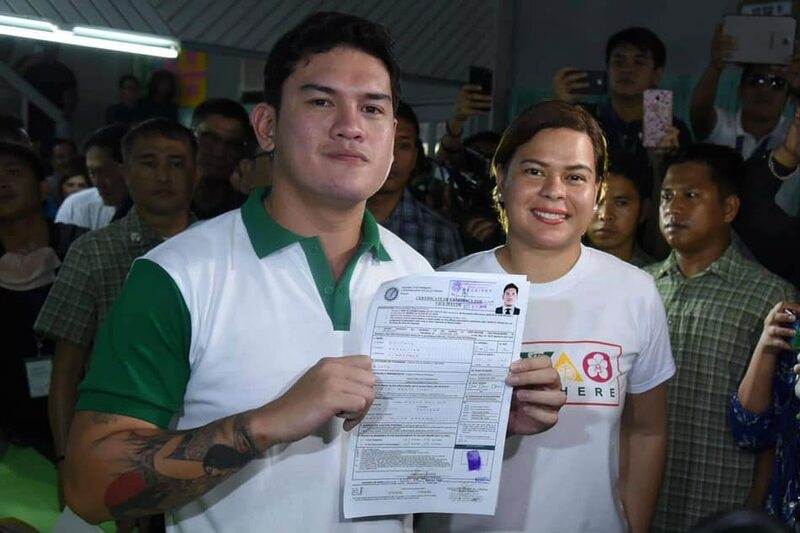 The surfer son of the President is the last of the Duterte siblings to file a certificate of candidacy after Davao City Mayor Sara Duterte-Carpio sought re-election earlier this week. “It was a long process. I thought about it months ago dili siya sayon na desisyon na for me. I thought na it's an honor to serve the people of Davao,” Sebastian said. Sebastian said his father welcomed his entry into politics, noting that serving the people of Davao would make him happy. “Nagtanong ako sa tatay ko. Sabi niya okay naman daw pero yung desisyon is mine alone. So nagdecide na rin talaga ako,” Sebastian said. "Akong heart naa gyud sa Davao City, ito talaga gusto ko. Gusto ko lang talaga. I would be happy if I will be given a chance na magserve sa public yun ang ikakasaya ko,” he added. He will be running alongside Duterte-Carpio after joining her regional party Hugpong ng Pagbabago earlier this year. Their older brother, Paolo Duterte, meanwhile is running for Congress.